The European crisis finally shows signs of easing with the Eurozone backing Greece’s second bailout of 130 bn euros. This came after last week’s private debt swap which saw Greece managing to swap its privately-held debt with new bonds worth less than half the original value. 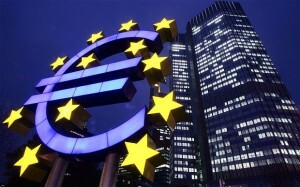 In addition, the OECD have stated that the Eurozone is showing ‘tentative’ signs of recovery. The news has placated markets with European and Asian markets gaining on Tuesday. In light of this brighter outlook in the US, the Federal Reserve is expected to stick with its current monetary policy when it meets on Tuesday. Singapore was ranked Asia’s most competitive city and the world’s 3rd most competitive city in a survey by the Economist Intelligence Unit with Hong Kong narrowly behind at 4th. The survey, which covered 120 markets, ranked Singapore particularly highly in the categories of physical capital (1st ), institutional effectiveness (6th), financial appeal (1st) and global appeal (4th). The full report can be found here at Citigroup who commissioned the survey while a visual summary can be found here on The Economist. In other news, the Singapore government has announced plans to increase spending on infocomm productivity. The government acknowledged the importance of the industry for the economy and pledged to spend SGD 46 m over the next 5 years to boost productivity. Elsewhere, Australian home-loan approvals dropped and business confidence sank to a five-month low, perhaps first signs of growth easing. While China’s plans to establish the yuan as a major global currency continue to progress with Japan buying 65 billion worth of Chinese government debt. This is by far the biggest investment in the yuan and will add enormous credibility to the currency. Indonesia has imposed new regulations for foreigners working in Indonesian-owned companies. The new law makes it harder for local firms to hire Indonesian managers. The news comes soon after Indonesia announced a limit on foreign ownership in the mining industry. Both regulations could make company registration in Indonesia less attractive for foreign investors.